UK To Portugal & Spain. Weekly Temperature Controlled Pallet Consolidation & Delivery Service. Worldwide Food Sales to Wholesalers, Foodservice and Retail Companies. Hello and Welcome to Foodlynx. We hope you find the following pages useful and informative. There are two divisions to our Company, International Foodservice and International Logistics. 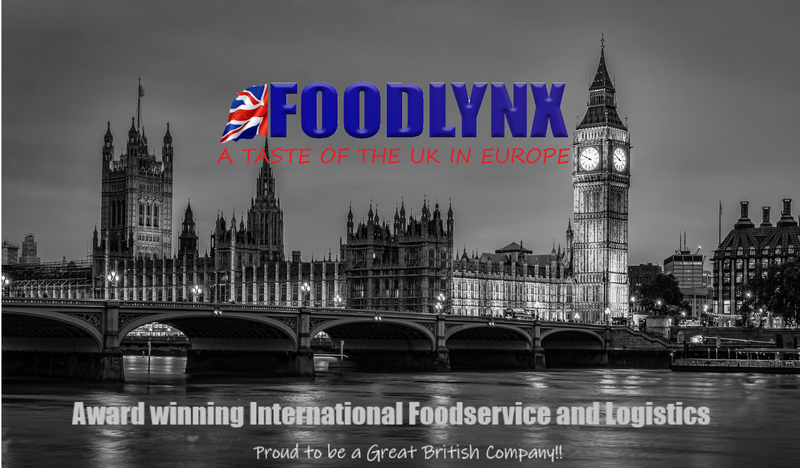 Our Foodservice division sells British Foods to Foodservice Wholesalers all over the world, to redistribute to Cafe’s, Hotels and other catering establishments in their own country. We also sell to supermarket chains from Greece to Hong Kong. We are the sole export agents for Braces Bread, and our portfolio includes sausages, burgers, bacon and cheddar cheese, to name but a few. Our Logistics division is made up of a large cold store and a fleet of temperature controlled articulated trucks. We not only deliver our own products, but can consolidate frozen, chilled and ambient pallets in our warehouse for other UK suppliers and deliver from a single pallet, to a truck load (and anywhere in between), to anywhere in Portugal or Southern Spain. You can either book for us to collect your pallet for onward delivery, via our automatic pallet booking system by clicking on “Collect My Pallet”. Alternatively, you can deliver your pallet to our Polarkold cold store via our automatic goods inwards system by clicking on “Book In My Pallet”. Our door is always open, so if you need to discuss a specific product that you require, or you want to send a pallet of frozen, chilled or ambient goods abroad, give us a buzz…..we are just on the other end of the phone.